Need more apps for your favorite device? iOSnoops can help! Here are 24 iPhone and iPad apps that have just gone free. 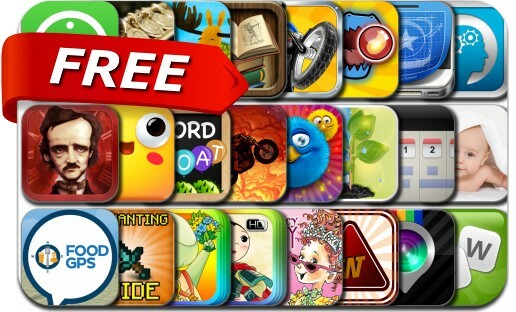 This apps gone free alert includes iPoe, InstaPlace, Lumigon, Super Snack Time, Nature Sounds of Forest Stream and Rain, Max Awesome, The Fluffies, iSpellWord Game, Stunt Star, Jazz Radio, iMind & Mood, WordFloat, Word Triangle and many others.